Janyelle and Amber at Cloud Nine (Cloudninerocks.com) have created so much positive change in our lives! Our son was recently diagnosed with two extremely rare chromosome abnormalities, which combined have resulted in a case unlike any other documented worldwide. These wonderful ladies have spent a lot of time, knowledge, experience, and energy helping us improve his mental and physical status through the combination of energy movement and massage, their individual talents, as well as connecting us with people and products for more help with various conditions. Their influence using just their skills alone was a phenomenal game changer for our family, but even more so was the spritual and emotional healing they provided without even knowing. These ladies are some of the nicest, most loving human beings I have had the pleasure of meeting! In a world that is harsh for delayed and disabled children and their parents, these two are a light in darkness. They have laughed, cried, worried, rejoiced, and so much more with us as we struggled with medical and life issues. They care about my son just like family and poured themselves into all the work they have done with him. They have given us information and tools to use in all aspects of our lives and his response has been pretty awesome. Yet of all the techniques and tools they have used to improve our lives, the loving nature and atmosphere has truly been the most healing and helpful treatment we have ever received! So go see them for their talents, techniques and tools to find relief and health, but also be prepared to find two souls with whom you’ll never want to much part. There’s just too much healing and love there! I want to thank Amber Boston (Cloudninerocks.com) and Janyelle Huff for all the help you’ve given my family. Amber has helped me with so many sinus issues and stiff muscles. I injured my back several months ago I could barley walk from the terrible pain after 3 treatments with her massages I was good to go. I’ve called her with lots of issues and she always fixes me. I’ve seen Janyelle for a couple of months for Intuitive Healing it has helped me so much I feel so much better when I leave there. I am sensitive to medicine and have experienced many side effects so this type of healing works best for me! I’ve also taken my granddaughter there and they have worked with her and helped her so much. We have noticed such a huge difference in her as far as being more grounded and happier. Thank you both for all you do and will continue to do as we come to you for help. Our little Town of Elwood is so lucky to have Cloud 9. Since seeing Amber ( Cloudninerocks.com) and Janyelle once a week (recently changed to every other week), my son has been released from physical therapy and released from his orthopedic surgeon. He also struggles with shyness and some anxiety. The improvements he has been making and the strides he is taking is remarkable! I first found out about Janyelle’s gift for her mother Karen who was my mother’s close friend. My first session with Janyele was 6 months after my mother passed away. I had a lot of guilt putting my mother in a home when I know longer could take of her. She told me things that she could have not known and let me know that I did the best I could and my mother know that as well. After talking to her it mad me feel so much better. 5 months ago I started having health issues and the doctor thought I had a gluten problem or Celiac disease and I did want to leave my house and was very depressed and it was also the 1 year anniversary of my mother’s death. I called her because I was not getting better I change my diet and I was not eating gluten and nothing seemed to be working. She made feel like my self again and I realized I really did not grieve my mother’s death and it was starting to hit me. She really help me and told me signs to look out for and that meant my mom was around me and I see these signs all the time. So when I am down and I see these signs it makes me feel better. All my tests came back fine and I don’t have Celiac diseas or gluten issue. I believe she helped where a doctor couldn’t and I will never be able to thank her enough. She’s is a special person with a special gift. I you believe in that good things can happen they will. I have been experiencing digestive problems for about five months that has really gotten me down.After trying other treatments, I called Janyelle and I feel she has me on a very positive track. This is after one call and her intuitive healing which is amazing. I found out about Janyelle through my mother. She had been seeing Janyelle for life coaching and bought me a one hour session in order to have me see what Janyelle had to say. At the time I was in a difficult relationship and preparing to graduate college without a concrete plan from that point forward. As a skeptical person with no prior experience in anything supernatural and years of experience learning biological sciences; I doubted that I would get anything meaningful from the experience. During one hour over the phone, Janyelle was more specific than I expected. She told me that I would end my relationship because It was for the better, explained to me the reason for the state of my current familial relationships and that within a few months I would meet a man who would guide me in my search for my first job (obviously in much more detail than that). The relationship advice and family advice was spot on, and the skeptical side of me still felt that it could have come from educated guesses. The reason I am sitting here writing this testimonial is because of the third piece of insight. When Janyelle described the man who would help me, she told me his exact height and hair color along with an approximate guess as to when I would meet him. One hour ago while working I met this person and he was the exact height and hair color that Janyelle predicted three months ago. During my conversation with him it became clear that he was willing to help me out and he had experience finding a job similar to the one I’m looking for. I don’t know what I concretely believe now, but I do know that talking to Janyelle helped me to see the resolution to the two problems I was encountering. I also now believe that there is more to life than straight forward scientific thought. I may never be able to explain how Janyelle knew what would happen, but she was specific, accurate and confident in what she told me which makes me feel confident that she is everything she claims to be. In November I went to the Ear Nose and Throat specialist, he told me I had polyps on my vocal chords. They said it would take years for them to go away. I called Janyelle and after one Skype session (distant I live in Florida) and following her instructions I returned to the Dr. in January and the polyps were gone and the Dr. was amazed and he did not understand the healing. ·I informed him of your Energy Healing and he suggested to keep it up, it was working. I truly believe that God works in mysterious and Awesome ways! He puts people in your life’s path at just the perfect time. Janyelle came into my life at just that perfect time! I have always felt this powerful urge to want to better myself, fuel my passion, and grow my ambition with my career. I was at a place in my life where I knew I wanted to be, I just needed some assistance getting there.·Janyelle truly has a Gift from God! She reads energy and teaches you how to listen to your body and trust your own intuition. She helps release the unwanted feelings you harness and has a way of calming your spirit. The world today is known for rush, rush, making money, being active in functions, leagues, ect.. Today’s world has a way of telling people how to live rather than teaching them to trust and listen to your own body and intuition. I can say I honestly feel like a different person today than I did several months ago. My biggest fear was “FEAR” itself, the unknowing. I was raised in and very active church while growing up. I still attend church, but have a much bigger understanding and believe I have truly felt the Holy Spirit. Trusting and Believing is my biggest lesson!! Trusting in yourself and the Lord above! I truly believe God gives each of us gifts; it is in how we use them to help strengthen others and help them along life’s path. Janyelle is AMAZING!! You just HAVE to meet her!! Janyelle is amazing in her being but also in her profession. Every time I get together with her she points out something that is, first of all, highly intuitive, and secondly important for growing my own business. There is something about her being that has me trust even more in my own skills and goals. Interestingly enough after every conversation with Janyelle, something “broke open” that has me receive what was already waiting for me – a new client, new ideas, confidence in making big decisions etc. I highly recommend Janyelle as coach and practitioner. Janyelle is amazing at what she does. When I first heard of her I was very skeptical but I went to check it out anyway. She has helped me in so many ways. She has helped me with my relationship with Laura and my daughter Aleya. She helped me have to courage to start my own business which has always been a dream of mine. She helped me cut back on my medications drastically. She has helped me quit smoking. She has helped me become a better me. She truly is like my own personal genie without a bottle. Whenever I am feeling down or need to talk about something I call or text and she’s always there. She’s a wonderful friend and I honestly do not know where I would be today without her. Janyelle works miracles and I am the proof! In October of 2006 I was driving home at 1am and I ran over a girl about my age that was lying down in the highway. Her and her boyfriend had been at a party and had gotten into an argument. They were fighting as they walked down the road. Some say he pushed her and others say she simply layed down on her own. Needless to say I didn’t see her and I ran over her and so did the vehicle behind me. When I went back and got out of the car I saw her there, bloody and lifeless. She was dead and I had taken her life. I was so scared and shocked at what had happened and what I had seen that I didn’t say anything to the police and I completely hid my involvement. I turned myself in 2 days later and in July of 2007 I was convicted of Leaving the Scene of an Accident Involving a Death a Class C felony and Obstruction of Justice a Class D felony. I was sentenced to 8 do 4 years in the Indiana Department of Correction. I served 3 years in prison and came home in June of 2010. I worked and took care of my family and payed my bills. I stayed out of trouble and was released from Parole early. To everyone I had come out of prison just fine and was doing great. My doctor was the only person that knew I was struggling. He diagnosed me with PTSD and put me on medication. I couldnt sleep through the night because I would have terrible nightmares. Nightmares so disturbing that I would wake up covered in sweat, out of breath, and confused as to where I was. I was in a constant state of depression because everytime I closed my eyes I saw the girl like I saw her that night. I felt as if she was haunting me. I blamed myself and could not accept forgiveness. Not even from God. I didnt think I deserved anything good and I thought of suicide often. After seeing Janyelle for a completely different issue we found that everything led back to that night and what was going on inside of me because of it. She told me that she was going to have me come in and she was going to erase the memories that were holding me back. I didn’t think such things were even possible let alone a miracle like that happening to me. I went in and after 45 minutes I came out a new person. I felt calm, light, and full of energy and hope. Still to this day I only think of that night when I choose to and when I do I CAN’T picture anything. I don’t see the girl in the street anymore. I sleep just fine without nightmares. It’s like I know it happened and I know the importance of that night but I also know that God has forgiven me and I had to forgive myself. I am worthy of his blessings and I can take something good from such a tragedy and use what I’ve been through to help others. Janyelle saw the road I was on and where it was taking me. Had she not helped me the way she did I honestly don’t know where I’d be today. I can’t even say for sure that I would still be alive. I urge anyone that is struggling to go see her. Open your mind and your heart. You ARE worth it. I wanted to thank you again for the reading on Tuesday. I must say our conversation lifted a huge weight off my chest. Honestly I was still skeptical but was left in a better mental/emotional state. That night sure enough I woke with leg cramps. I was surprised and thought of our reading earlier in the day. Then Wednesday Colin’s teacher emailed me because he was assigned detention for being disruptive and disrespectful. I was begging to believe even more as you had said he might get in trouble at school. I admit I was surprised but not 100% convinced. Then this evening I had a surprise visit from my mother, and of course an argument ensued to which she told me I was “just like my father”, that she loved me but she didn’t think our relationship would ever work and after that I am a believer. I have to say I am really impressed. I hope more of your reading comes to fruition and will definitely be using your services again. I want to explore my past and my future. First I just want to say you are absolutely amazing. You have changed my life. After speaking with you yesterday about my relationship with my husband I took your advise and talked to my husband last night. Not only has there been a complete change in him but more importantly there has been a complete change in me. After speaking with you I took a good look at myself and realized there are things I need to be doing differently. For the first time in a long time I feel like I love him again (not just the he’s my husband so I love him kind of love) but the I really love this man kind of love. And I’m very excited about showing him. I know that I had lost that feeling and quit showing him or giving him attention because I was hurting and never got the closer I needed after arguments therefore I guess you could say I was just taking him for granted. I know I told you at the beginning of our conversation yesterday that I had never had a reading before and that I was very skeptical about this kind of thing however I must tell you after speaking with you I BELIEVE now. Before we spoke I was feeling like the life had been drained out of me and now I feel like a different person. I feel full of life and I feel like I want to be the best wife and mother that I can be. I am so excited about my relationship and my life now. I even miss my husband today and can’t wait to see him when he gets home from work. I haven’t felt that way in a long time. I have told some of my close friends about you and they plan on contacting you themselves. Janyelle is a true blessing. She was spot on in her reading. Her details were a total shock. I have been to a lot psychics, in search for a legit one, and I have no doubt about her abilities. During the session I thought she may know more about me than myself! I promise, you will be blown away in the first 5 mins. To sum it up in 4 words: Life changing, life inspiring. Janyelle Huff has such wonderful presence whether she is talking to you one on one or talking to a group of people with various backgrounds. She has helped me both personally and professionally by showing me how to understand myself better. One thing that stands out is to listen to myself. I have a hard time with the listening skill anyway but I never thought about how important it is to listen when I need answers to my own questions. You learn a lot about yourself when you stop and listen. Janyelle has been a speaker at both the WorkOne Customer Service Boot Camp and Career Networking work shops and everyone really enjoys it and always wants to hear more from her. If you have an opportunity to work with Janyelle it will change your life. My experience with Janyelle has to do with intuition, which I believe everyone has. It doesn’t matter what you call it intuition, a gut feeling, or just one of those aha moments. Like when you think of someone you haven’t seen in a long time and the next day they appear in your life. Another example would be when in a situation or setting you have a feeling something else is really going on only later to find out something was. Turns out it was something big and you wish you would have acted on it at the time to change the outcome. In making decisions do you follow you’re first thought or gut feeling. In most cases as we as humans question ourselves and run through all the different possibilities. How may times have you wished you had gone with your first thought. I am someone who has always sensed, felt things but never talked about them or acted on it. Sometimes with great regret but we all live and learn. Janyelle is great at confirming those moments for you. Current or past feelings/memories even all the way back to your childhood. You have a memory that is something that means nothing to you or may have great meaning but your not quite sure if you remembered it correctly. For some reason the memory never leaves you. A friend once told me she heard a sermon in church that really made her sit back and think. We ask God for all these things but are we really lessening for the answer, idea or how to handle the situation. The feelings and thoughts that flash through us, do we pause and think? A thought or idea comes at you multiple times from different directions. Do we pause and think about it, consider it? Janyelle helped me to start trusting my intuition, first thoughts, that gut feeling what ever you want to call it. In doing so you will build your inner strength, your confidents, and your ability to succeed. Another thing I’ve learned and truly believe. If things didn’t work out right the first time there is a reason. Either you/me weren’t ready for it or we had a lesson to learn first. I met Janyelle Jan 14, 2012. I scheduled an appt to be hynotized to stop smoking. That all went well, but what I want to give Janyelle praise for is her Intuitive Abilities. After Janyelle finished and I grabbed my coat to leave, Janyelle grabbed my shoulder, pointed her finger in my face and said “Your x wife got lost in herself”, described my situation to a tee. Mentioned future events that would be happening in the next two months. I was floored. Remember I went over to stop smoking and she layed all kinds of things into my lap. Over the next two months what she said and what has happened has been nothing short of amazing. I spoke with my pastor about it to get his input and thoughts. Pastor Justin said “God sends little messengers and looks as though he sent you Janyelle” Amen. Janyelle is a caring, loving, and thoughtful human being. I have been so blessed to meet her. Since then I have scheduled all three of my children for appts. All good. Hi Janyelle, It has been 53 hours and I feel great! I jogged again, me. I am so happy that I chose to see you again! I will tell everyone who mentions quiting smoking that I know a GREAT person for the job. I feel so good, I wish I could see you more often you are so positive, uplifting, fascinating, and spiritually gifted. Youo are truley Great! Why Janyelle, through her career as a multi-faceted life coach, neuro linguistics trainer, and a myriad of other related specialties she helps women through her consultancy. Janyelle is an extremely connected professional woman business in central Indiana and would be an absolute great additional pillar to add to the foundation of building you. It is never too soon or too late to become the happy and successful person that you are meant to be. If you are ready to become that person, I strongly recommend Janyelle Huff as an exceedingly knowledgeable guide and teacher. Janyelle has an unusually gifted understanding of the human desire to be happy and healthy. She has acquired through study and experience, a vast knowledge of how mind and body can join together to bring about enhanced wellness, success, and contentment. Janyelle distills her knowledge and training’s to help you learn methods that are easy to practice, yet are very quickly and very noticeably effective. Janyelle’s teaching techniques help you realize your full energy potential and personal power. You will learn techniques that enable you to choose thoughts and actions to create the life of your deepest desires. You will learn to replace fear with action, doubt with confidence. During my career experiences as a pharmacist, I observed that the patients who are the most successful in restoring themselves to their own maximum of good health are the ones most willing to learn how to help themselves. Janyelle makes available the tools for us to help ourselves today and tools to help ourselves in our futures. Medical science is now beginning to fully recognize and document the power of the mind to heal the body. Practitioners and authors Jill Bolte-Taylor Ph.D, neuroscientist and author of My Stroke of Insight, and Herbert Benson, M.D., author of Timeless Healing: the Power of Biology and Belief are but two of the growing number of experts in the medical field that recognize the power of the human mind to not only align the body with wellness but to reprogram the mind itself for enhanced awareness. Since my retirement from pharmacy I have studied restorative methods such as yoga, yoga therapy, mindful awareness and meditation. I can personally testify that time spent with Janyelle Huff is one of the best investments you can make in your current and future happiness and well being. I rate her as one of the top-most effective practitioners in her field. You did a reading for me in November on romance. You said that the man I was with wasn’t right and I would meet someone like me in February that was 6’4″, dark brown hair, business suit in tow … I met someone 6’4″, gray hair (used to be brown) that owns his own business. We fell for each other on the first date … thanks for making me open my eyes. i thank the almighty for sending u ms.janyelle huff to my rescuse i am heal, oh janyelle god bless u alwaysI wanted to THANK you so much for yesterday!!! I slept awesome & I woke up this morning feeling like a million dollars! I started the gym today and feel not below or above myself but just completely balance, and my husband is so happy! Thank you again for overcoming your challenges & becoming who you are because if it wasn’t for your life I would not be where I am today!!!! Thank you for your encouragement and “prophecy” for my future are greatly appreciated. I sense something powerful is coming, and as always I have discovered it is way beyond what I could comprehend. Please know that I am allowing myself to let whatever it is come forth and am trying (!) to be led instead of wanting to lead. Since the beginning of my journey with Janyelle, I have built a stronger relationship with God , opened myself to my Spirit Guides, bonded more closely with my son, bridged gaps with relationships within my family and continue to work daily on…ME thus allowing myself the ability to grow, prosper, love, and be loved. At this point, I feel as though I have superseded any expectations I’ve ever had in obtaining any of my hearts desires beyond my wildest dreams! I have chosen to take a path along my journey with a wonderful, loving, supportive man whom I adore greatly. Our journey has not been that of the ordinary kind. With much determination, we each have grown individually as well as together both spiritually as was well as in love. I have enjoyed a new found “comfort in his arms” that I’ve not previously known with this wonderful man. There are many aspirations for a beautiful journey along this path. Without Janyelle’s steadfastness with her unwavering support, encouragement, and constantly challenging me to be who I am meant to be, I am confident that I would still be the “LOST SOUL” I started out to be. You are a true “God Send” with many gifts waiting to be discovered! Thank you for being who you are and for all that you unselfishly give!!! Wanted to update you on what is happening. I also wanted to let you know that I have sold my house in Selma, via by “for sale by owner” and am in the process of moving to the lakes this weekend. Also, you said that a couple (not married) would be coming to look at the house and it was a brother and sister wanting to purchase it for their mother and father. Thank you for your insight. It was a “wow” moment. Take care. Everything Janyelle told me about what was going on with my dis-ease was right on. Janyelle asked me several key questions that opened more doors for my healing. If you are looking for true-results along with answers that bring you the correct results then Janyelle is the one you need to help you. She is easy to connect with and puts 200% of herself into your situation to make certain you understand what is going on and what is needed on your part to heal your journey. I wanted to say thank you for everything you have done for my family! Everything you told me to do with my son helped him start walking within days! His spinal fluid is now on the right track, thank you so much! It still amazes me how intuitive you are! Also thank you from the bottom of my heart for helping me get my self-esteem back and keeping it! Everything I’ve asked of you, you have given me that and so much more. You are amazing at what you do! Janyelle brings a unique and important gift to natural healing. She is able to access a person in a way I have never seen before. By using her gift, she is able to help people tap into their inner potential; and make tremendous gains both in their business/work life as well as their personal life. 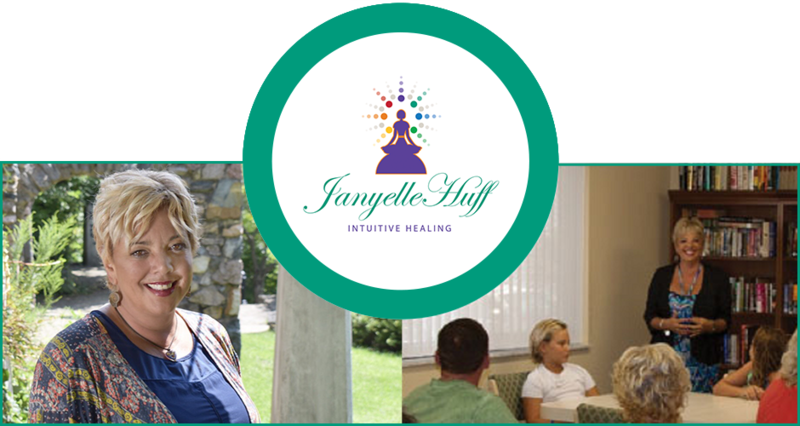 I would recommend Janyelle to anyone looking to better themselves or looking for alternative healing. Thank you so much for helping me make the transition from retirement to my second career. Not only did you assist me in dealing with some of my thoughts and feelings concerning retirement life, but you gave me some insight and direction toward beginning the next chapter of my life. You reassured me, elevated my self-esteem, and gave me some specific methods for dealing with my inner self that helped me find the self-confidence I thought I had lost. Your texts and your radio show inspired me to make a meditation audio. After I listened to it I “heard” an affirmation. I heard it again as I went for a walk. Today I made an audio of the affirmation with hypnotic music, isotonic beats and brainwave technology stuff. I’m so excited to share such great news with you. I went to my 6 month Dr.’s check up this week and I’ve lost 40 pounds in 6 months. I couldn’t have done it without you. Your downloads on emotional eating, motivation for exercise and activating my metabolism were the motivation I truly needed. I also did my first 5K walk, 3.1 miles, in 45 mins. What you are doing in life coaching has changed my life, the way I think, and my dress size. Thank you so…. much! Hey! I just wanted to drop a note to let you know how AMAZING I am feeling! I feel human and have energy again. I walked 15+ miles in the last week and feel better and better every day!!! – Energy Healing at it best! I also wanted to thank you for working with me on Friday. It was interesting, I grew more and more exhausted and nauseous as the day wore on . I think it was my body getting rid of some junk. I now can think of the event without anger and have noticed a lack of anger when thinking of the kid who bullied my son. I used to have a lot of hatred and angry feelings at the mention of that kid. As I thought back over my life, the feeling of not being protected has been a pattern throughout. I even (subconsciously) chose to marry a man who has never made me feel protected. The single brief session with you uncovered this theme and led me to connect it to a lot of anger in my life, choices that I have made, and even the way I have parented. You have to believe and feel good at the end of the day knowing that GOD or your higher power, has helped you to assist so many others in their walk in this life, and also with yours. I also hope that you have someone to talk to when you have those days? My depression started with the passing of my mom in the fall of 2001. She was only 57 years old and died of lung cancer after spending 6 months in a nursing home due to complications from radiation she had the year before. She was in remission and had been re-diagnosed less than 12 hours before she passed away. I was 36 years old and she was the first person I’d ever lost. At that point I still had all 4 of my grandparents, my dad, husband and children. She was living in FL at that time and I was here in IN. We couldn’t afford to bring her home and had to have her cremated. We did have a memorial service for her here in IN where most of her family and friends were, but that’s not the same as a funeral, so I never really got to say good-bye. Her death finally hit me in January 2002 and it was downhill from there for quite a while. 2001 had been a horrible year to begin with and her death was the final straw. I had a friend from school that came back into my life a couple of weeks after she passed. I depended on them to help me get through each day and eventually became addicted to them. I tried traditional counseling in the fall of 2002. I didn’t see much improvement and tried again a few years later with the same results. Although it does work for some, it wasn’t for me. Depression doesn’t last forever, but if you get the proper help early, you’ll feel better much sooner. One thing I learned the hard way is that no matter how much you think the ones closest to you should know what you need, they don’t unless they’ve gone through something similar with you in the past. I was very hurt that my husband had no idea what to do with me. For fear of doing the wrong thing, he chose to do nothing (which is exactly what I would have done had it been reversed, but didn’t think about that at the time). In June of 2002 I knew I was going to lose my Grandma. I told him ahead of time what I needed and things went very smoothly. Two years later, I lost my other Grandma and he knew exactly what to do. Over the years time did heal some of the wounds, but I still wasn’t where I’d been prior to 2001. I started working with Janyelle last summer (2010) to try to find my purpose after leaving a dead end job a few months earlier. I’m still working on that, but feel as though I’m moving in the right direction. I learned how to think more positively and look toward the future instead of continuing to pull from the negative of my past. Due to excess stress over the last several years, my migraines (that I’ve had since Jr. High) had increased. I’d been going to a chiropractor for a few years which had helped quite a bit, but had reached a standstill. Janyelle used an energy technique on me last November (2010) to release a knot that I woke up with daily in my right shoulder that made me feel like both of my shoulders were in my ears they were so tight, which in turn caused headaches. To this day (March 2011) I have yet to wake up with that knot, which is absolutely awesome! I’ve also suffered from IBS since the beginning of my 3rd pregnancy in 1992. She used a technique on me a couple of weeks ago that so far has worked. My migraines have been drastically reduced which is a wonderful thing! Speaking as a Coach in the industry, I guarantee that in working with Janyelle you will be amazed at how easily you will be able to bring meaningful and exciting change into your life. Janyelle’s excitement, confidence and understanding make it easy to confront those things that may have held you back so that you can look to an new and exciting future. In working with Janyelle and the techniques of Neuro Linguistic Programming (NLP) and Time Line Therapy™, I have increased my potential in ways I would never have dreamed possible, both personally and professionally. My business revenue will more than double this year and personally, my confidence has skyrocketed, I have more energy and drive and my relationships have never been better! I am taking this opportunity to say a huge thank you for the help you gave me. The NLP technique you provided were enormously helpful. They allowed me to make changes during a very stressful time… I would have no hesitation at recommending your services to anyone else. Janyelle made it very easy for me to give up something that I wanted to stop eating. She did it within 15 minutes. That was 15 minutes not weeks or months. She is a pleasure to work with and a very skilled NLP practitioner. By now you should want to make that change in your life and work with Janyelle now. I was very impressed with Janyelle. I’m middle aged and had lost myself while concentrating on being a wife, mom, employee, etc. With the kids grown and now being a grandma, I was having trouble figuring out my purpose. After a couple of sessions, I’m now on a positive path of finding myself and my direction. Using Janyelle’s Weight Loss package along with individual coaching has taken me from 250 lbs. in September to 240 lbs. in October and I’ve been able to reduce my insulin and blood pressure medicine. My body is no longer in pain from stress or tensed muscles, since I released the negative emotions and broke the attachment of food and emotional eating. Good Morning Janyelle: I am doing fine, I “think” I want a cigarette until I think about actually lighting one up. You, likewise, are a God send to me! It was too wonderful meeting you and listening to you. I talked with my niece last night, the one I was telling you about, and I told her that if you could come through your life, with ALL you’ve been through, being so positive and loving Jesus, I could at least have the strength to quit smoking! She agreed! She is thinking about, it, too. Thanks for you and all your kindness! God Bless you always, have a wonderful, safe holiday! I used to suffer from migraines and a knot would form in my right shoulder, after 45 min of Quantum Touch it had never returned. Thank you Janyelle. The stinging pain in my left arm is gone for good. I had the pain for about 3 weeks and tried varies ointments but nothing seemed to relieve the pain. After 30 min of energy healing with you, the pain is completely gone. I would like to share this with anyone who may be listening to Janyelle tapes. I’ve lost 15 pounds in just three weeks. Even though my son was hospitalized, I could stay the course. Girl you have a great gift! Thanks for your help. Your methods in the first couple of meetings helped me by releasing the thoughts that bothered me the most. I realized that life is to short to keep on dwelling on the past. The last few meetings helped me with my confidence and a better positive outlook on life. I’m 18 years old and have had issues with my knees for several years. Our family doctor said it was due to growing too fast, another doctor gave me exercises to do. After one Quantum Touch session, I’ve not had any more trouble with it. I started smoking when I was 15 years old. I had quit off and on throughout the years but it never stuck. I had quit when I was pregnant with both of my children and when I was breast feeding but always started back up again. Thanks to Janyelle, I have been able to quit and it was something I had wanted to do for a long time. Janyelle has continued to support me in my efforts to stay smoke free. As of January 3, 2013 I have been smoke free for a year. I would defiantly recommend if you want to quit smoking, go see Janyelle. She really helped me. My son had been molested without any knowledge by people we considered friends. They were more than friends, they were like family. I had no idea that it had been going on. He had been having nightmares and would have trouble sleeping in his room but we didn’t know why. He was close with his step-father but was having trouble staying attached. About a year after we had moved and these people were no longer in our lives, his nightmares intensified and he started talking in his sleep and walking in his sleep. I was terrified and wasn’t sure what to do. It was during these nightmares that we found out that he had been molested and that they had threatened my life/safety if he ever told. My son was 4 years old when we found out. I wanted to get help for my son but didn’t want to make it worse. With Janyelle’s help, the nightmares have stopped and he is very close to his step-father. Janyelle said if we ever needed any more help or if the nightmares or anything else started occurring to let her know and she would be happy to help us with this very difficult and sensitive situation. Janyelle has been a blessing to our family and we are so happy to have found her. After a session with Janyelle, I had a huge change in perspective with my career. I gained more confidence in myself as she helped me remove blocks that stopped me from achieving my highest potential. Janyelle helped me open up to new ideas and possibilities. She taught me ways to shift my thoughts to achieve the outcome I wanted. Ultimately, this led to greater success and fulfillment not only in my career, but in my life as well. Janyelle has done more for me in 3 sessions than 10 years of therapy! She helped me find my voice inside years of fear and insecurity, helping me see what I am truly capable of and what is possible for the future!